A glittering brand new novel of deeply-buried secrets, passionate love, obsession and redemption from the master storyteller. Thirty-year old Serena Stone is a talented war photographer who has followed in her famous father's footsteps. But when he dies unexpectedly, she steps away from the war zone to reassess her life. Drawn to writing her father's own story, Serena approaches Harry Redford, his best friend and front line colleague. Harry has a request of his own. He wants her to go take care of Zachary North, her former lover, who has come out of Afghanistan suffering from mental and physical exhaustion. Serena and Zac inevitably rekindle their passion - and together tackle her father's huge legacy of iconic photographs. But one collection about Venice has never been seen before. It is among these images that Serena stumbles across photos that turn her world upside down. In search of the truth about her father, her family and her own life, Serena begins a desperate quest to uncover a story from decades earlier. 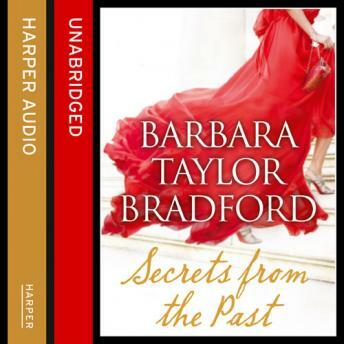 Moving from her family's home in the hills above Nice to the canals and romance of Venice and the riot-filled streets of Libya, Secrets from the Past is a moving and emotional story of secrets, survival and love in its many guises.